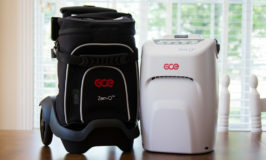 We’ve covered a lot of ground with our series on choosing the best portable oxygen concentrator. We began with the oxygen flow, then discussed the size and weight, followed by the battery power. Now we’re wrapping up the series with an often overlooked factor–the sound level. But what does it mean? Well, the dBA is the decibel measurement. Keep in mind that this is an exponential rating system, so a different of 5 decibels is noticeably louder. Also, the average decibels of a quiet home is 40 dBA. Therefore, you’ll find that most units, particularly the larger, continuous and pulse flow models, are a low hum, not much louder than your refrigerator when it kicks on, and much quieter than the average dish washer. The pulse-only models is where you’ll find a wider range of decibel ratings. The Inogen One G2 is noticeably the quietest portable concentrator on the market today. The new Inogen One G3, has a quiet motor like the G2, but it has a loud purging sound; so every fifteen seconds you hear *tsshh*. While this doesn’t bother some people at all, others find it personally distracting, and they feel uncomfortable with the unit when out in public, particularly in quiet places, like church or the theater. While it is perhaps not the greatest concern when choosing a portable oxygen concentrator, it is often a factor for many. Think about your personal hearing sensitivity, and the places you plan to use your portable oxygen concentrator. Would a higher noise level bother you? Would it distract others around you? Use this information to help you find the best portable oxygen concentrator for you. 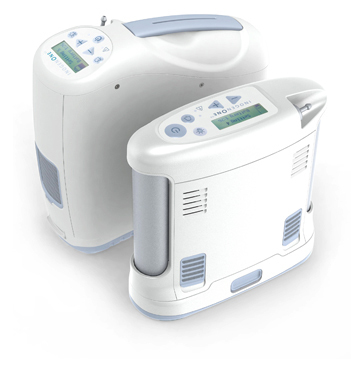 It seems that most people who rent a home oxygen concentrator from a local homecare company usually are given an old concentrator that is about 50 pounds and 50 decibels. If that is what you were given, then you will be pleased to learn that there are smaller and quieter units available. There are several units that are 39-40 decibels: Respironics EverFlo Q, Invacare Perfecto2 W, and the AirSep VisionAire. I have one of the old and noisy concentrators. It sits in my dining room downstairs with 2 ea 40 ft tubes running to it. One goes up to my bed upstairs and one stays downstairs. Only one tube hooked up at a time, of course. This keeps the noise away from my bedroom. Hi Allison, I’m a newby. 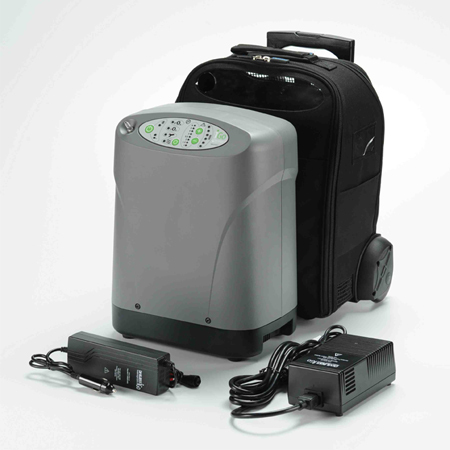 What do you think of Activox portable oxygen concentrator? My oxygen provider is pushing that. They don’t carry the Inogen One G3 . The Activox is a nice unit – small and lightweight and provides up to Setting 3 pulse. However, it does have more service issues than the Inogen One G3. As long as your provider is helpful in providing a loaner/replacement unit if/when the unit needs service, then you should do well with the Activox. If you are purchasing a unit, then you may want something more reliable. Need your advise I am on oxygen 24/7 have a airsep new life elite at home for general and sleep. Need a portable only have choice of Airsep Freestyle or Inogen 2 which would you suggest my setting on my home one is 3lpm and 4 for exercise. Since the AirSep FreeStyle only goes up to setting 3, and the Inogen One G2 goes up to setting 6, the Inogen One G2 would best meet your oxygen needs of 4 LPM for exercise. Thank you for providing this dialogue. I am new to this and am trying to get back to a more normal life. Could you compare the Freestep with the Inogen 2 or 3? I am often in meetings so the noise is an issue for me, but I also am hopeful that as life stabilizes a bit I will engage in more travel. I am not ready to be stationary so the quality and light weight of the portable concentrator are important to me. Thank you for engaging in this discussion. So often the response has been, this is all that we carry. The Inogen One G2 is by far the quietest. The AirSep FreeStyle would be average. And the Inogen One G3 is noisy (it has a rather loud purging sound every 15 seconds). If you can handle the extra weight of the Inogen One G2, I would highly recommend it for your noise concerns. It is also a good, dependable unit. I have Inogen one G2 it is very heavy. If I had to carry it a lot It would not be the one for me. They sent me Inogen one G3 OMG it was was so loud I was amazed they tell people is it very quite. I am very disappointed in the Inogen one products. I am looking for another company that doesn’t lie to their customers. The Inogen One G3 is definitely louder than the G2. However, newer units are quieter than the original ones. If your unit is particularly loud then you probably have an older unit. The first 2 digits of the serial number indicate the year it was manufactured. Hello, I am new to all of this and trying to find a portable, continuous flow machine for my 81 year old mother. We are looking for a machine that is as quiet as possible, a battery life of at least five hours and/or has the ability to charge in the car, and as light as possible. I cannot provide a direct answer without knowing the flow setting your mother requires. If 2 LPM, then the Philips SimplyGo is the smallest unit available, although no the quietest. Larger units, such as the SeQual eQuinox and SeQual Eclipse 5 will provide up to 3 LPM and be quieter (the eQuninox is the quietest). Battery times depend on the flow setting, although on continuous flow you would need at least 2-3 batteries to get 5 hours. Hi there, my husband has become oxygen dependent and they delivered a unit that is so loud, it is unbearable. It is an invacare platinum 10. My husband requires 2 liters at rest and 6 if he is moving around which he doesn’t do. What would be the quietest unit to meet his needs? Unfortunately, with a prescription of 6 LPM, a high capacity concentrator is necessary and they are all loud. 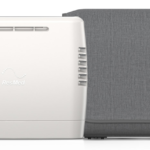 If the doctor will reduce the oxygen requirement to 5 LPM while active then a smaller and quieter concentrator can be used, such as the Respironics EverFlo Q or the AirSep Visionaire, which are both much quieter than the Invacare Platinum 10. Which concentrator is the quietest: the LifeChoice ActivOx or the Inogen One G3? The new High-Flow Inogen One G3 is the quietest, following by the Activox and the old Inogen One G3. When comparing the motor sound only (not the purge/pulse sound) how does the Inogen G2 compare with the G3? Do the 38 vs 42 decibels above refer to the pulse sound (not background motor)? We just had a G3 delivered yesterday ( a 2016 model) and are disappointed in that respect. My husband needs setting 5 when walking. The background motor sound is quite loud and distracting to both of us, even on the lower settings. You say they both have a quiet motor so that seems to infer that the do not differ in that respect (background motor sound) but I could be misinterpreting. Appreciate your insight ! All the way around, the G2 is noticeably quieter than the G3. Both the motor and the purging sound are quieter with the G2. If the extra weight isn’t an issue, I’d recommend exchanging the unit for a G2. And with flow settings up to 6, it provides a little bit more oxygen in the event that your husband needs it. I’m looking for a portable, continuous flow unit to use a few times per year when I’m at altitude. Setting is 2 LPM and I’m prioritizibg quiet over size since I use it almost only while I sleep. Which units would you suggest I consider? Thanks so much! I’ve rented big units for years and think it’s time to get my own and it’s very confusing! The quietest unit available is the Inogen At Home. This is a home concentrator that is somewhat travel-sized – it is 18 pounds. An even smaller home concentrator is the Philips SimplyFlo, which is 8.5 pounds but noticeably noisier. Since you need oxygen only at night, choosing a travel-sized home concentrator would be less expensive than a portable concentrator. If you want a true portable concentrator, meaning one that runs on DC and battery power in addition to AC power, then the GCE Zen-O and the Philips SimplyGo both provide up to 2 LPM continuous flow and both weigh about 10 pounds. Of the two, the Zen-O is quieter. Thanks for the information. Can you inform me on the GCE Zen o portable concentrator noise level? My needs are continuous, nocturnal at 2 lpm. The manufacturer has only provided the noise level at pulse setting 2; it is 42 dBA.